‟Stories about Hollywood notoriety and rags-to-riches are ten a penny and often the characters are so far removed from the audience’s own environment that few of the themes hit home with any real impact. 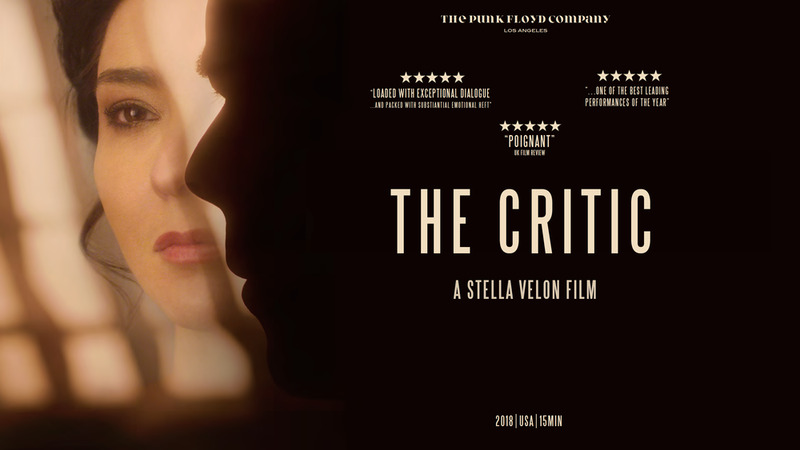 However, in The Critic, the deeply personal approach that Velon takes and the choice to use a single male interviewer makes this a particularly poignant piece of cinema in the current social climate. Her character's experience at the hands of this venomously harsh critic is so entrancing in its brutality and should resonate with a large amount of viewers. ‟Intertwining external pressures with internal angst and guilt, The Critic is a powerful short film loaded with exceptional dialogue and cinematography… For me, a jaded male critic, I would still say this is one of the best leading performances of the year so far.